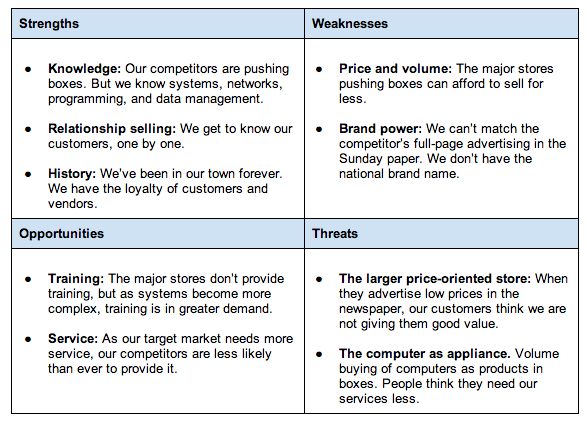 Conducting a SWOT analysis of your business is actually kind of fun. It won’t take much time, and doing it forces you to think about your business in a whole new way. As you might have guessed from that last sentence, S.W.O.T. is an acronym that stands for Strengths, Weaknesses, Opportunities, and Threats. 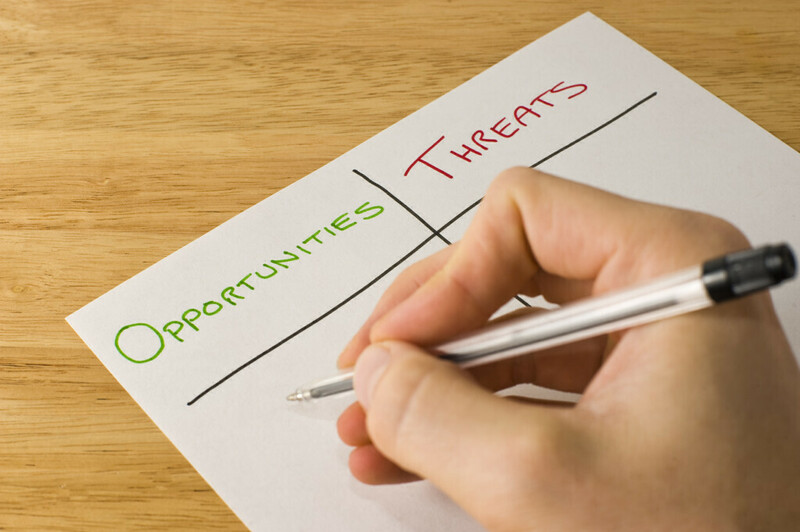 A SWOT analysis is an organized list of your business’s greatest strengths, weaknesses, opportunities, and threats. Once you are finished brainstorming, create a final, prioritized version of your SWOT analysis, listing the factors in each category in order from highest priority at the top to lowest priority at the bottom. Once you have identified and prioritized your SWOT results, you can use them to develop short-term and long-term strategies for your business. After all, the true value of this exercise is in using the results to maximize the positive influences on your business and minimize the negative ones. But how do you turn your SWOT results into strategies? One way to do this is to consider how your company’s strengths, weaknesses, opportunities, and threats overlap with each other. This is sometimes called a TOWS analysis.